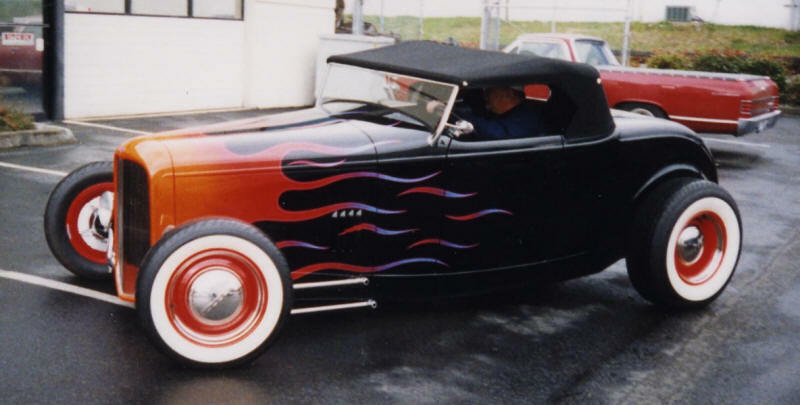 Teamed with J&L Fabrication on this 29 Roadster. 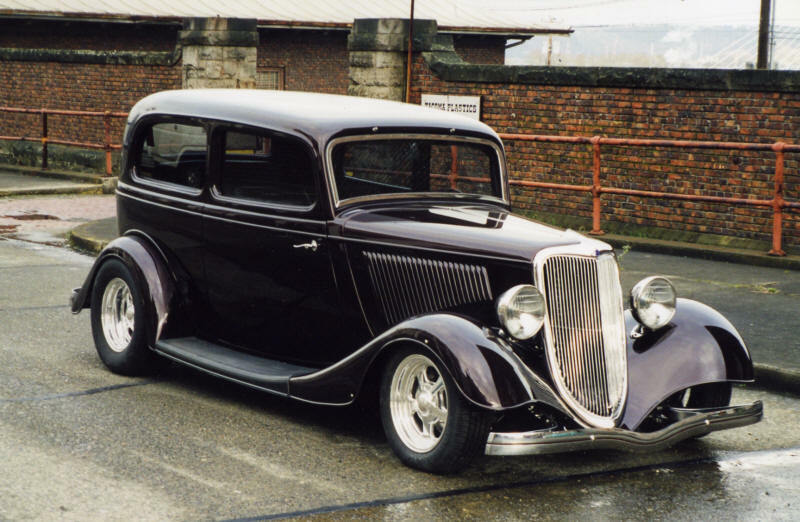 Top five finalist for Street Rod of the Year and Street Rod Magazine’s Car of the Year for 2003. Traditional black with flames and whitewalls. Hand-built grille and hood sides. Flames are also in engine compartment and underside of body. Black Cherry Pearl with lots of attention to detail inside and out. 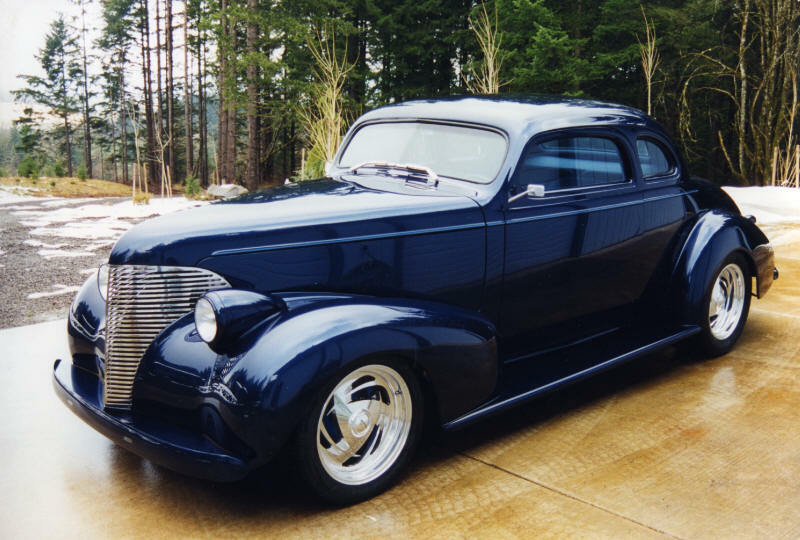 Chopped, smoothed hood sides, molded in fenders and painted Indigo Blue. 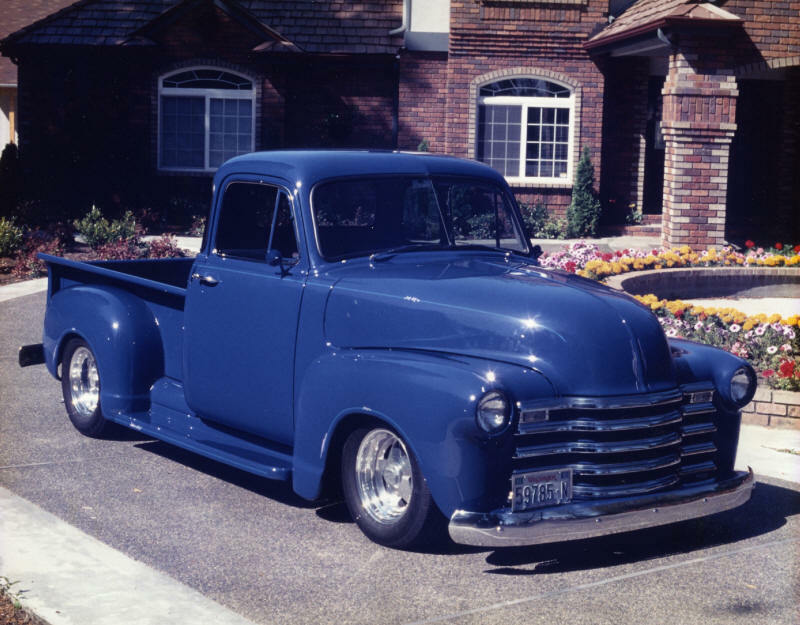 Our first shop car, this 41 Chevy was heavily modified everywhere and driven almost daily, rain or shine. Spanish Blue was ISCA Pacific Division Overall Class Champion. Teamed with Wicked Fabrication on this 34 Chevy. 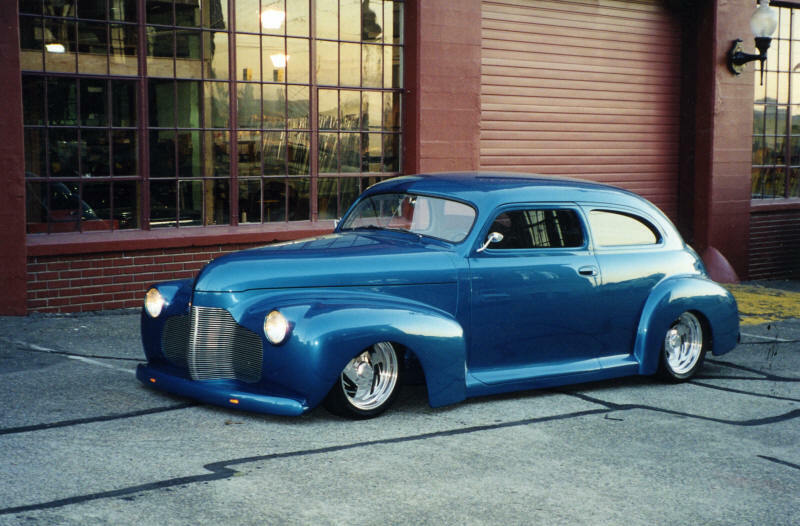 Top five finalist for Street Rod of the Year 2004. Painted Sunset Orange and metalic beige. Restored to its 1962 show glory and shown at Pebble Beach. 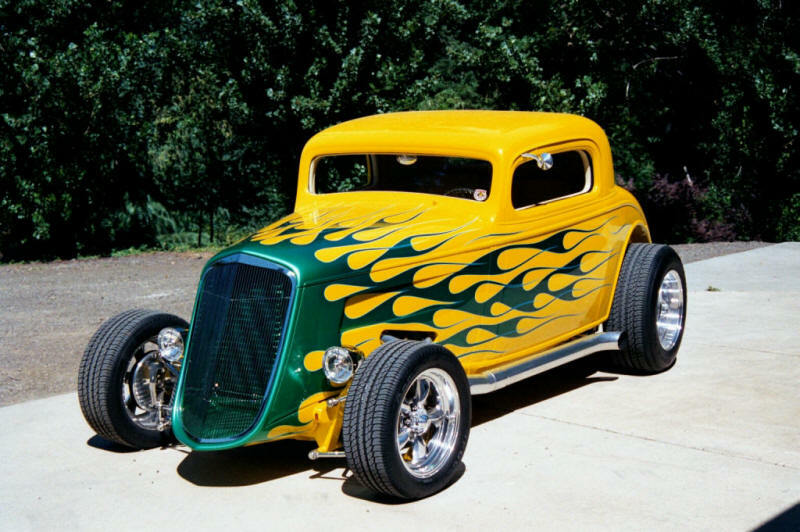 Doors stretched to make a three window coupe, frenched headlights and taillights and painted Emerald Green.